Welcome to the Mountain Biking section! 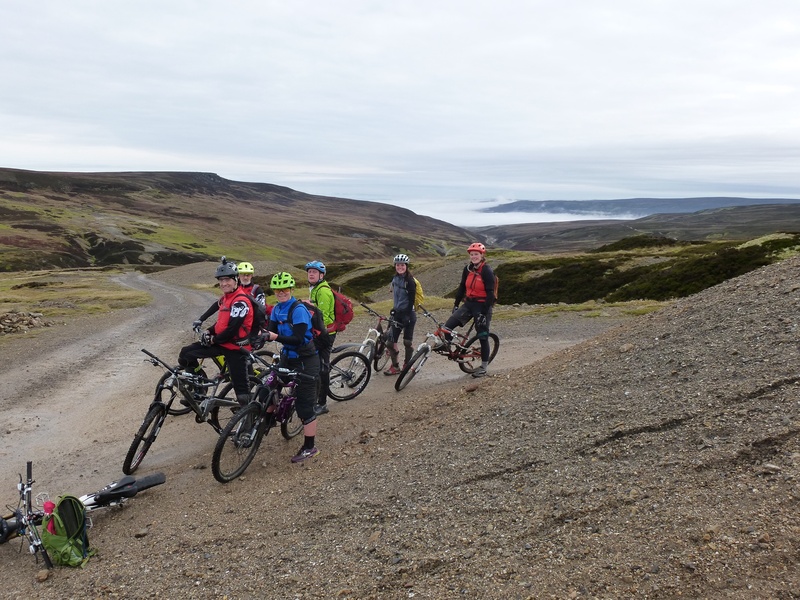 We are a very enthusiastic group of mountain bikers of all ages and all abilities. Everyone welcome, we do activities to suit all abilities.We have a varied and full programme of rides all year round. This includes all-day Sunday rides, evening rides on Wednesdays, some Saturday rides, weekends in the Lakes and longer Bank Holiday weekends in Wales, Scotland. See some videos of what we get up to here! If you would like further info contact the Section Organiser, click on 'Contact Us' above and then on their name in the list. An outline of the current programme is available by clicking on 'Programme' above. We mainly ride XC (cross country) on local trails in the Yorkshire Dales, North York Moors and North Pennines and also further afield in the Lake District, Peak District, Scotland, Wales etc. We also venture to trial centres both locally at Hamsterley and Dalby and also Whinlatter and Grizedale in the Lakes. Bank holidays often see us trying out the trails in Wales (Coed y Brenin, Afan Argoed, Llandegla etc) and Scotland (7 Stanes, Laggan Wolftrax and sometimes even further north) usually combined with a few days riding natural trails in these areas as well. Check out the Frequently Asked Questions page for answers to most of your questions.